A 24 Carat Rose Gold Shoe for your kid? Why not! After reading about Drake's recent 24 karat gold Air Jordan and Usain Bolt’s gold shoes that carried him to victory we decided we need to get in on this gold trend. 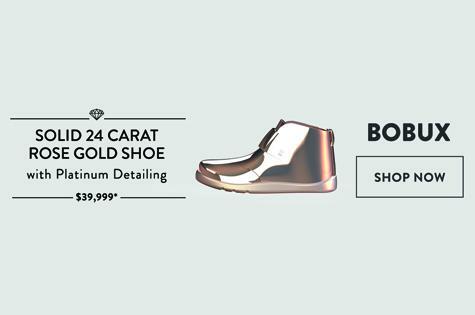 Sure, we could’ve taken the easy route and just gone with metallic shoes but here at Bobux we like to go that extra mile. So for the new spring/summer collection we’ve made our very own 24 Carat Rose Gold Shoe and unlike Drake’s they’re a steal at $39,999. 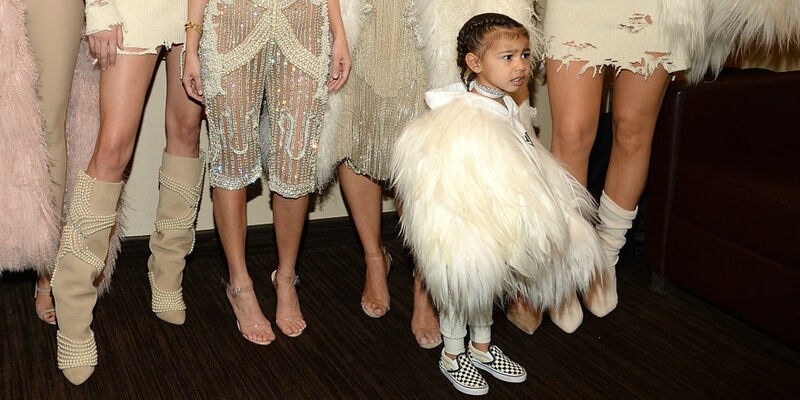 If you need anymore convincing (we can’t think why you would) here are 5 (of the many) reasons why your kid needs gold shoes. Unlike traditional shoe materials gold won’t wear out after your child has wreaked havoc in them. Sure, leather and canvas are great options but why not get a shoe that will truly last for ever? Your child can become the ultimate fashionista and cerement themselves as the trendiest kid in town with a pair of gold shoes. What a pain it is to buff, rub, wipe, and toil over cleaning your kid’s shoes after they’ve been running about in mud. Who needs all that trouble? With gold your child will be working extra hard to put a dent in their shoes. So you can sit back and relax in the knowledge that you won’t have to fuss over cleaning up a dirty pair of shoes anytime soon. If the gold shoes begin to lose their shine, simply bring them into a jeweller and they’ll polish them up for you. Forget diamonds, gold is a girl's (and boy's) best friend. Not only will gold shoes improve your life, they’ll improve you kids too! Mum’s will be hassling you to join them for brunch and kid’s will enthusiastically ask for play dates with your kid when they spot their brand new gold shoes. Bronze and silver simply won’t do; gold is the only option. Your child is bound to be inspired to aim for Olympic gold in these shoes, how couldn’t they be? 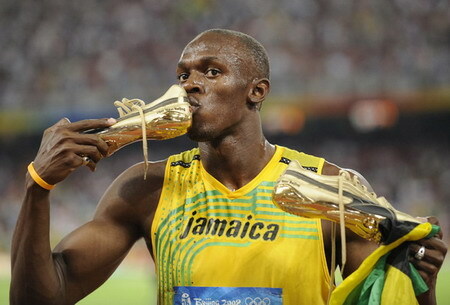 If gold shoes work for Usain Bolt it could work for your child too. Have we sold you yet? Check out new Bobux here! But just as we were smouldering the final gold toe caps, we had an epiphany. That’s the question we strove to answer. Because good design is both. Like a bike with square wheels, it might look cool but it won't work. And you definitely wouldn't want to ride it down a hill. That means ensuring we're doing the best thing for kids' feet before we even think about making our shoes look cool. Of course we could just make pretty shoes. But in doing so, we would be neglecting the challenge of designing shoes that are both good looking and good for kids, which is why we get out of bed in the morning. In designing our stylish gold shoes, we realised we’d moved too far down the style spectrum without paying any attention to our core principles: function, substance and great foot health. 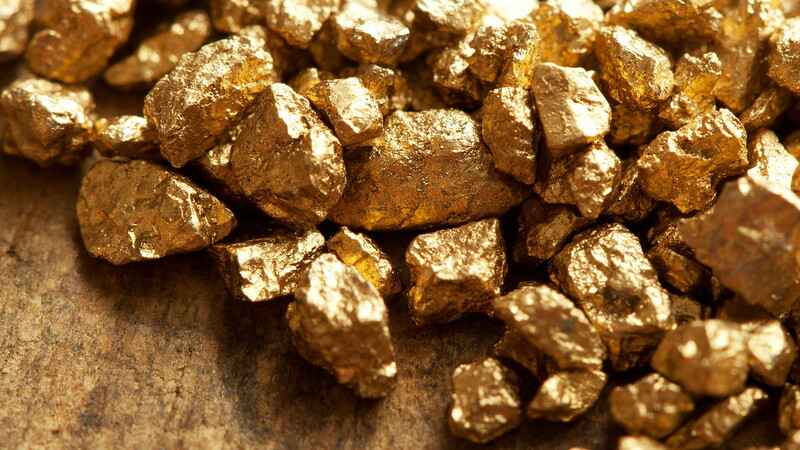 We realised that gold was far too heavy and inflexible! And so we put aside our aspirations, our Kim Kardashian dreams, and headed back to the philosophy that has served us so well. We once again sought out knowledge from podiatrists, physiotherapists, academics and foot development experts. Because it all starts with function. It begins with knowing how your child's foot is growing and developing throughout their childhood and having the right footwear to meet their development needs. At the end of this long journey, we reached the perfect compromise, that balance between style and substance, form and function. And while the shoes below may not have any gold on them, they’ll feel like a million dollars to the kids who wear them. Check out our new Spring Summer Range - lighter and more comfortable than gold. I would like to state my personal coins are amazing plus they look great. I had been looking for a way to get in to buying coins and a new investment chance and this maybe it was. I’m glad that I made my first buy and that i look forward to my personal subsequent purchase gmrgold.com.